Hi! We’re Kim and Kalee! We are online healthy living coaches that have helped 100’s of women hit their goals. Get our entire free library of meal plans and tips to help you feel and look your best! Thank you Jennifer for allowing us to guest post today! We’ve been working out at home for over 15 years and love it! At Home workouts are typically more affordable and convenient than a gym, and you can still see amazing results! On this chilly morning, there is nothing I’d like more than to stay at home. So I’m particularly excited to outline a few of my favorite at home workouts to keep you from braving the cold conditions outside. With DVDs and streaming available, there is a workout for anybody! The right at home workout will depend on your goals, preferences and time available. I suggest choosing something realistic and enjoyable. Working out and being healthy should be enjoyable versus a chore. So find what you like and that can fit into your schedule 3-6x a week. I personally love streaming workouts because it tells me how to pace my workout, and it also shows me proper form of each move. Plus, each of the workouts I’ll outline below includes a workout calendar & meal plan. This helps me stay on track and keeps my workouts balanced with strength, cardio and flexibility. All of the workouts below are included with 1 streaming membership to Beachbody on Demand. PiYo combines pilates and yoga. Unlike regular pilates and yoga classes, the trainer, Chalene Johnson, has you flowing through every move. Each workout will get your heart rate up to burn a ton of calories, and since you’re using your own body weight you’ll also see your muscles tone up! There is a modifier to help you build up strength as well. The 3 Week Yoga Retreat teaches the fundamental poses and proper form to yoga. If you’ve never done yoga before, or thought other yoga workouts were cheesy, you’re likely to love this program. Each day has a new focus and the attention to form is great. It’s all shot in an all-white studio so it’s very spacious and not over-the-top. We saw a steady weight loss and improved strength and flexibility with this workout. Autumn Calabrese’s Country Heat brings country music to your workout. The 30 minute, beginner workouts help you burn calories and lose weight 2 moves at a time. If you love to dance but struggle to remember an 8-count, this workout is perfect for you. You do 2 moves for a few times, and then move on to 2 new moves. Cize is Shaun T’s newest dance workout set to hip-hop music. Some of the language isn’t suited for kids, but it’s a blast dancing around to Bruno Mars and Missy Elliot! You learn each 8-count at a time, and then you put it to music. ChaLEAN Extreme is an oldie but a goodie. You’ll need a variety of dumbbells or resistance bands for this workout, but it’s our favorite for strength training. You’ll do a full-body workout Monday, Wednesday, Friday, and you’ll have some cardio and stretching mixed in on Tuesday and Thursday. You should expect to lift slow and steady to build some lean muscle and boost your metabolism! If you’re looking for an advanced strength and agility workout, Hammer & Chisel is it. It’s extreme, and you’ll be working out most days. It’ll be worth it when you see your 60-day results though. T25 combines interval training with resistance moves to help you lose weight and tone up all in under 30 minutes. Shaun T really focuses on form in this workout, and the modifier is really good in it. If you like moves like planks, burpees, jumping jacks and mountain climbers – you need to try this one! If you love kickboxing, you should try Core de Force! It uses mixed martial arts and your own body weight to sculpt out your whole body. It’s a particularly great workout if you’re dealing with rectus diastasis (splitting of the abs common after pregnancy). The core moves help bring the abs together – creating a leaner tummy! You’ve probably heard of the 21 Day Fix! It’s helped our clients lose 5-80lbs! The workouts vary from cardio intervals to pilates and yoga so you’ll never get bored. The meal plan is also super simple to follow, and you can do as many rounds as you want! Shift Shop combines strength and speed for max results. Each week you get 2 new workouts to keep you from getting bored, and each week the workouts get harder to keep you challenged! If you like to lift weights at a fairly quick pace versus slow, this is a great workout for you too! YouV2 brings pop music to life with easy to learn routines. It also includes a kid’s split-screen option where you see the adults on half the screen, and you also see a kid doing the routine on the other half. It’s so much fun, and the music has clean lyrics. Double Time is partner workouts! So you might be throwing a medicine ball to each other or doing squats. It’s a great way to get the kids involved or just a fun workout with a spouse or friends. You can try all of these workouts or mix-and-match with Beachbody on Demand. If you’re used to streaming Netflix, it’s as simple as that! Want to try a workout right now? 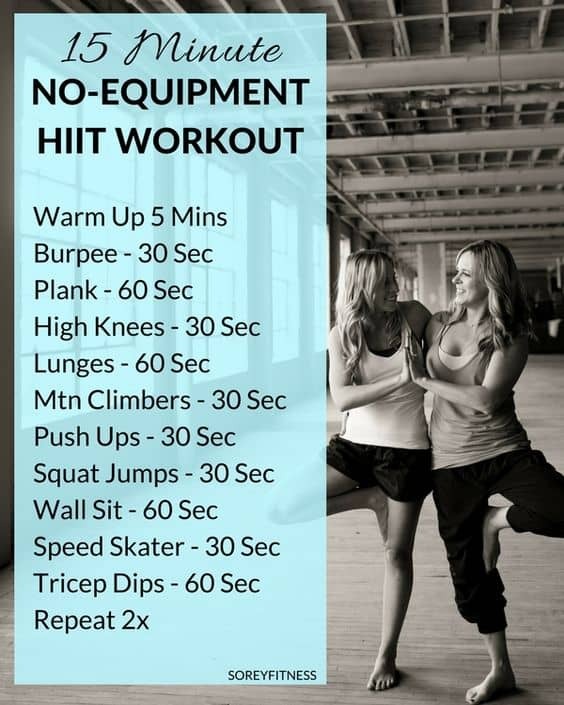 If you’re not quite sure about a whole workout program yet, you could try our 15-minute HIIT workout right at home with no equipment required! This workout combines strength and cardio moves for a total body workout. You can do it every other day for best results. One of the reasons we’ve been able to stick to working out at home is because we hold each other accountable. Without that support, it’s easy to talk yourself out of a workout. We know you might be the only one in your house or out of your friends trying to stick to a new, healthy routine. So we want to invite you to our free year-round accountability group which includes tips, meal ideas, and prizes each month. If you’d like access, just email us! Jennifer is the owner of T.W.L, (Teach.Workout.Love) a blogging community for Working Moms and Military Spouses. 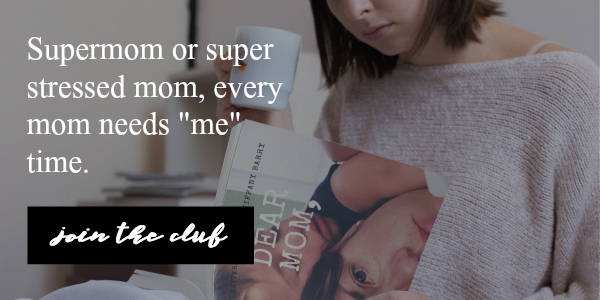 Along with blogging + freelance writing, she is a toddler mom, army wife and full-time teacher. Jennifer lives in Washington State and is a born + raised New Yorker. In her spare time, she loves traveling, yoga, the beach and everything fitness.